If only you played a customer role shopping online, when on the checkout, you missed to buy the product due to lack of money or any other inconveniences interfered. The problem here is for the next time, you go shopping that store again, and you have to remind the name of the product or search categories to find what you’re looking for. That’s why we create this extension, helping customers buy items again as well as change conversion rates on sellers’ stores. Shoppers shop online normally, saving items in the shopping cart and finally, they add items to the save cart as favorites or reminders for next time. Choosing the save cart option, filling the name, then shoppers will see all saved items, date and time. 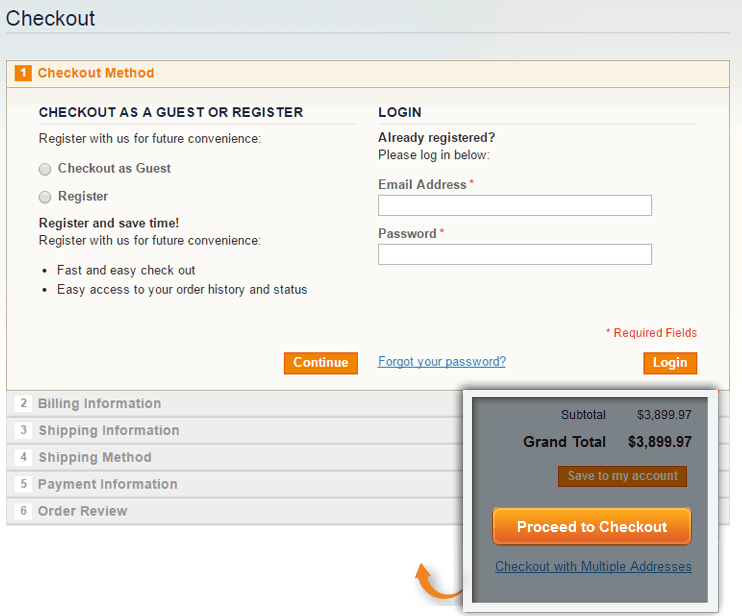 Besides, it’s easy to remove items in the cart or use them to checkout instantly. One click to enable the extension. That's just easy! The save cart link will only be accessed after a certain product is added to cart. It means that "Save cart" must be the last step of your shopping. The system automatically manages customer' shopping items following the users after they log-in account successfully. 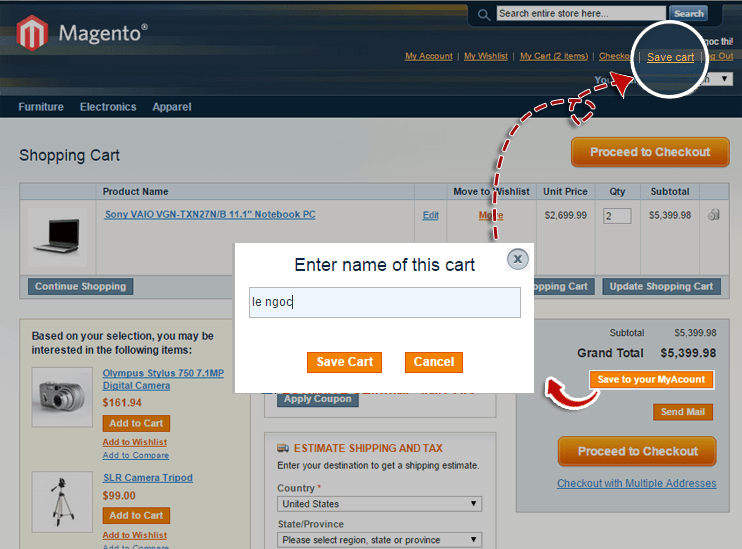 Besides, Magento save cart plug-in allows to create a cart name. A light pop-up window appears after the cart is saved to notify that the action is succeeded. The save cart plugin presents briefly and tidily the saved date and total price for customers on the "My account" page, searching by different indicators such as dates or names. Customers are flexible to manage carts with show/hide options. 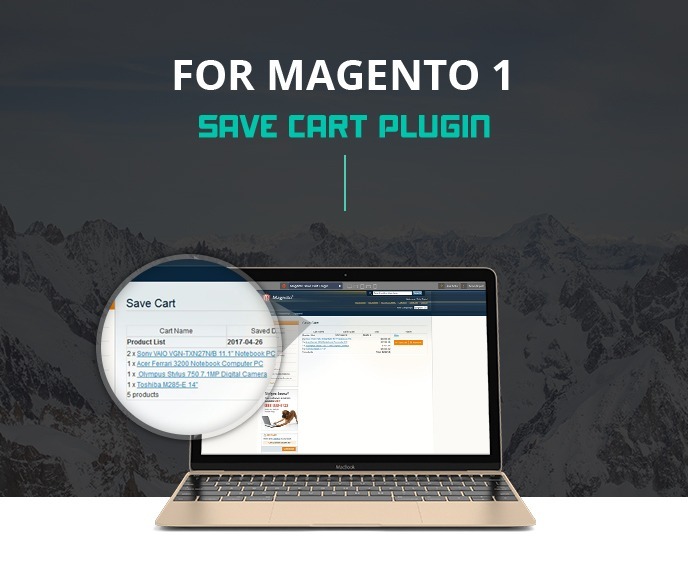 Magento Save Cart Plugin shows the option "Use cart"to move items to the shopping cart quickly, your customers can carry out the next step or remove the element in the store cart easily. Besides, customers can send emails about their save cart to any email address wanted.This is for to inform some one else about an item that they are interested in. 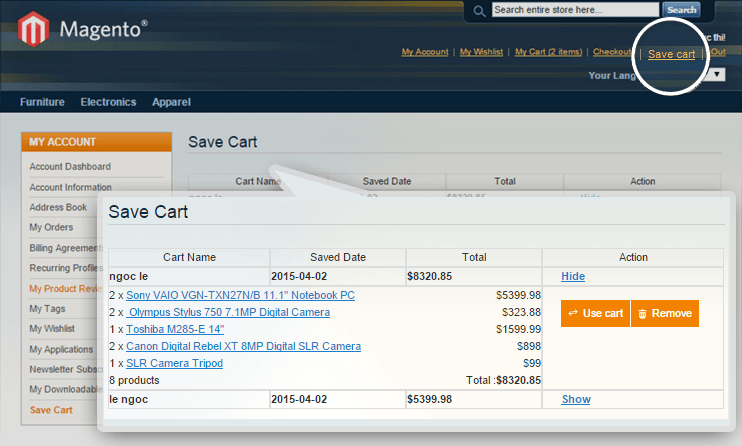 Magento Save cart Plug-in will be an advanced leap. The satisfaction of customers will bring a lot of benefits to your own business. Let's enjoy the extra impacts of Magento Save cart Plug-in. If only you played a customer role shopping online when on the checkout, you missed buying the product due to lack of money or any other inconveniences interfered. The problem here is for the next time, you go shopping that store again, and you have to remind the name of the product or search categories to find what you’re looking for. That’s why we create Magento Save cart extension, helping customers buy items again as well as change conversion rates on sellers’ stores. Shoppers shop online normally, saving items in the shopping cart and finally, they add items to the save cart as favorites or reminders for next time. Choosing the save cart option, filling the name, and then shoppers will see all saved items, date and time. Besides, it’s easy to remove items in the cart or use them to check out instantly. 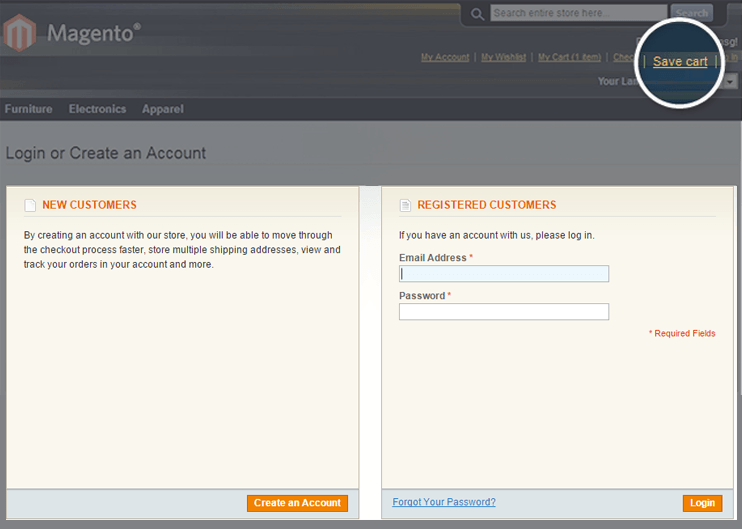 Step 1: Login your account in the website. 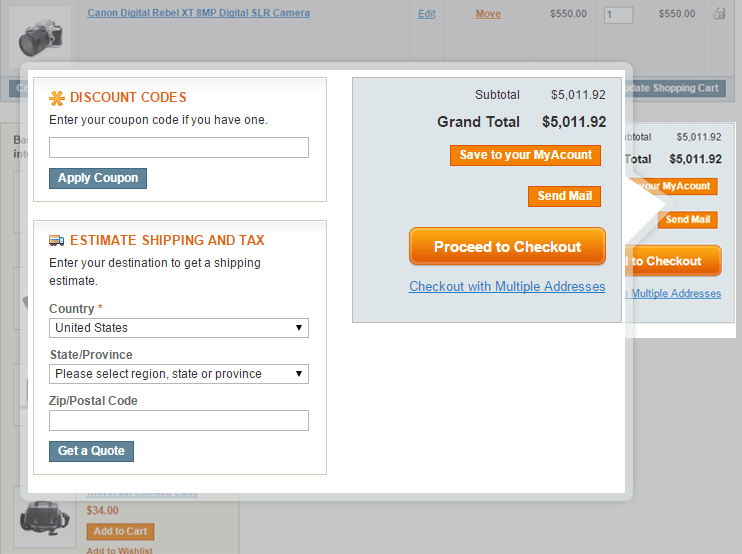 Step 2: Go to product detail page or category page, then click "add to cart" button. Step 3: Click on “Save to your My Account" button, A pop-up will be shown. Enter the name of the cart and then click on "Save cart" button. If successfully saved cart will be 1 pop-up notification. Step 4: Go to "Save cart" tab to view again and edit it as you want. 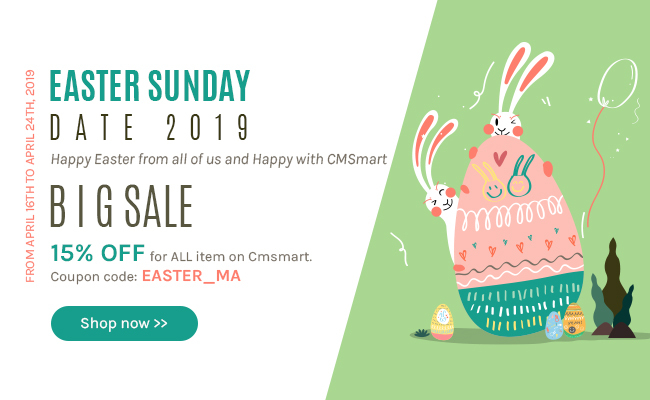 Step 2: Go to System » Configuration » Cmsmart Extension » Cmsmart Save Cart. Choose enable module when you used. The save cart link will only be accessed after a certain product is added to cart: It means that "Save cart" must be the last step of your shopping. The system automatically manages customer' shopping items following the users after they log-in account successfully. Magento save cart allows creating a cart name: A light pop-up window appears after the cart is saved to notify that the action is succeeded. My account page: The save cart plugin presents briefly and tidily the saved date and total price for customers on the "My account" page, searching for different indicators such as dates or names. Customers are flexible to manage carts with show/hide options. Magento Save Cart Plugin shows the option "Use cart" to move items to the shopping cart quickly, your customers can carry out the next step or remove the element in the store cart easily. Send mail: Customers can send emails about their save card to any email address that they wanted. This is for to inform someone else about an item that they are interested in. I purchased the product and had some problems on my site. The assistance was fast and on time. The problems have been solved and I think the product is really valid. Thank you for your kind assistance. Nice work! We had some minor issues on custom theme but developer fixed it. Great support. Great product and does what it is supposed to do. We installed it on Magento Enterprise 1.12, and it works great. We are able to save multiple carts and give them names. One suggestion would be to improve the CSS so that it is more user-friendly. 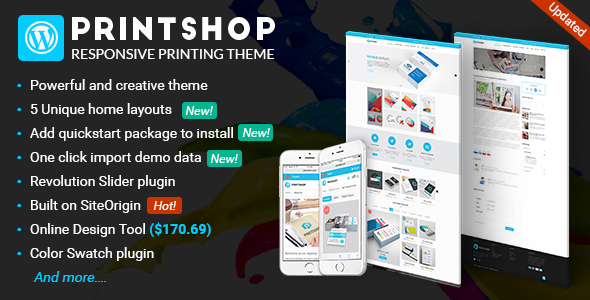 Hi does this plugin support bundle and configurable products? Could you let me know the version for Magento which are you using? You are using the Magento 1 or Magento 2? Please let me know and then I will give you the best answer. If you have any question, feel free to contact me via Skype or WhatsApp to get the quick response and the best offer. I am available to support you anytime. 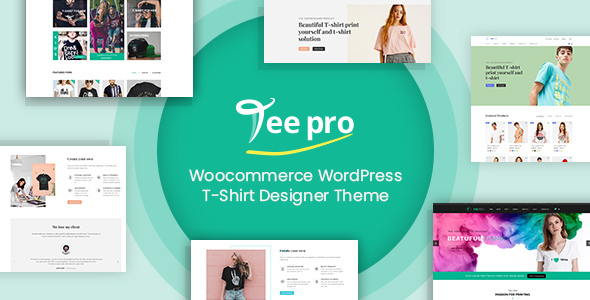 Hi does this plugin support bundle products? Will the module support cart properties like discounts, vouchers, gift cards and special prices? Currently, our product does not support these cart properties. Maybe we will make an update for the next version in the future. If you have any questions, feel free to ask me here or contact me via Skype: Vincent@cmsmart.net for a quick response. Hello, I like your plugin, do you also have share cart plugin ? because I saw your demo picture have "send mail " in the shopping cart page. I am trying to combine the function of "Share Cart" and "Save cart " into one plugin, so that our website customer can save their multiple shopping cart to their account for future use, admin can also share his cart item to client by email or link , (we use this function as online shopping item quotation) ,and once client click on the link , it will pop up a window to ask client save their current cart first, and then client's cart item will be replaced with admin shared cart item. so Client can proceed the order straight way if they are happy with the cart item offer. we would like admin can custom the shopping cart item price. guest can also use the shared cart link without login, however if they want to save the cart into their account, they will need to login . Let me know if this is possible, my email is info@flagbanner.com.au, I am from Australia. Currently, our product does not support this feature. Also, we cannot make this customization at this time. Our developer team are pretty busy with some previous projects. Maybe we will have the plan to make an update for this plugin as per your suggestion. We only require that once client click on the link , if current cart is not empty, it will pop up a window to ask client to "Save & Clear Current Cart items & View Shared Cart" or "Add Share Cart Item into Current Cart"
When client restore the cart from saved cart,they can also have the pop up windows to ask either they want "Save & Clear Current Cart items & View Shared Cart" or "Add Share Cart Item into Current Cart"
Because currently once we click on the share link, it will keep adding item to the cart, the current cart items is not cleared before adding shared cart items. We just want a pop up windows to let client to choose which way they want. I hope you can help with this very simple customisation. Currently, my dev cannot make this customization at this time. Our developer team are pretty busy with some previous projects. I hope you can understand for us. Does this extension support 1.9.3.x? I am Vincent from Customer Service Department. It is my pleasure to support you in this case. If you have any questions more, feel free to ask me here or contact me via Skype: Vincent@cmsmart.net for a quick response and best offer. what can admin users see? In the admin area, can admins view customer's saved baskets? If so, what can they do with them from there? Many thanks for your interest in our Plugin. In the admin area, admins cannot view customer's saved baskets. May be we will try to make an improvement in the next version in the future. 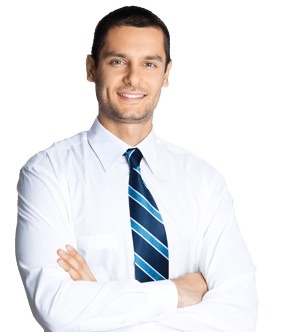 You can contact me via Skype: Vincent@cmsmart.net for a quick response in case you need other help. Does your extension support for the Magento Version 1.9.2.4? Please advice. Yes, our products support for Magento 1.9.2.4. Therefore, you can buy our product now. Does this module supports for Magento 1.9.2.4 ? please confirm us so that we will purchase this extension. But i see that this module supports up to the version 1.8.1.0. Does your extension also supports saving product custom options? Also I tried testing it on demo site, but restoring cart is not working currently. Yes, this extension does support saving product custom options. Kindly contact me via SKype: Vincent@cmsmart.net for a quick response.